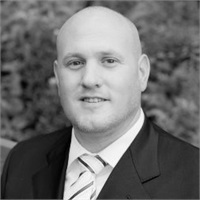 Josh has been in financial services for over 6 years, he has spent time with Principal and Charter Oak Insurance in Connecticut. Prior to joining the industry, he owned and operated a multi-generational Harley Davidson Dealership for 15 years. Josh discovered his true passion for unlocking the mystery of financial balance for individuals and business owners while running his own business. He understands the importance of knowing where every dollar circulating through a client’s world is, how to protect it, and how to grow wealth for the future. Now, he is able to create tailored financial strategies that fit each client’s unique situation to guide them toward achieving financial success. Recognizing we don’t know how long we will be here, and enjoying the time we are given is important, Josh works alongside his clients to help them set goals to achieve the life they wish to enjoy. Josh, his wife Jackie, daughter Ariana and son Cason live in Guilford, CT where they raise horses and rescue dogs.